After what was probably the shortest construction of a coaster of this magnitude, Intimidator, Carowinds’ 13th roller coaster, was finished today around 2:00. Lucky for the Charlotte area, barely missing the huge snowstorms that has hit the east coast over the last week, which allowed for a great, dry sunny day today to get the final few pieces in place and wrap up track work on the park’s tallest roller coaster. What a great early Christmas present for the fans of the park! Photo by: Carowinds Connection member, Wormy. See more photos here. 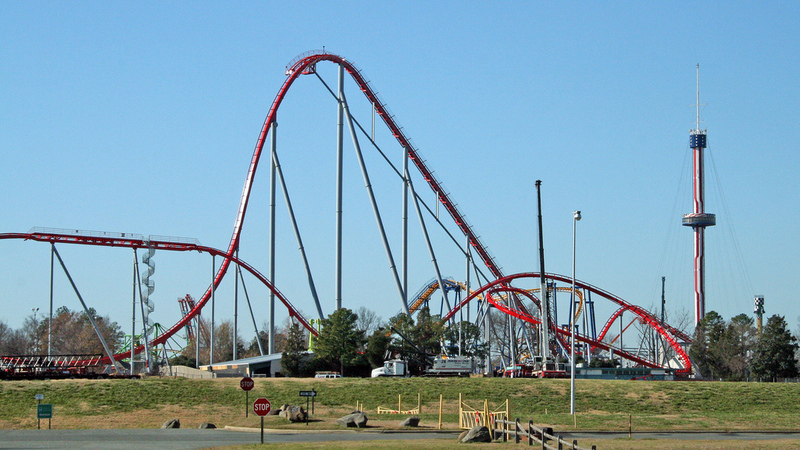 What do you think about Intimidator? Leave your comments and Park Thoughts! Woah, looks amazing! That was quick.